Kit includes: 1 pair pliers, 75 3D clips (1.5 mm joint. 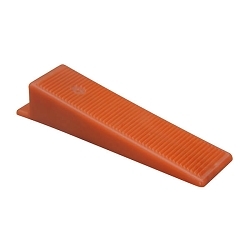 For tile of thickness from 3 to 12 mm - 1/8” to 1/2”), 75 reusable wedges. 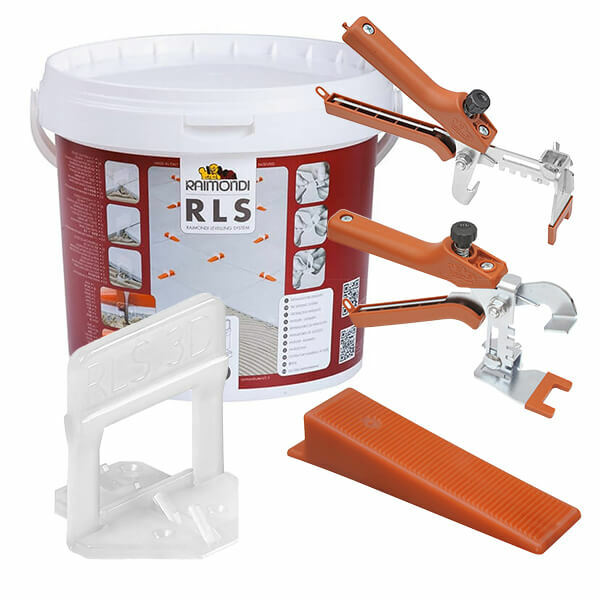 Best for: Leveling tiles for a smooth flat tile surface. How to use: Place the base of a 3D RLS clip under one tile, put next tile up against clip and place wedge through clip. Crimp tightly with pliers until both tiles are level. Remove clips next day by kicking from side. Wedges are reusable. 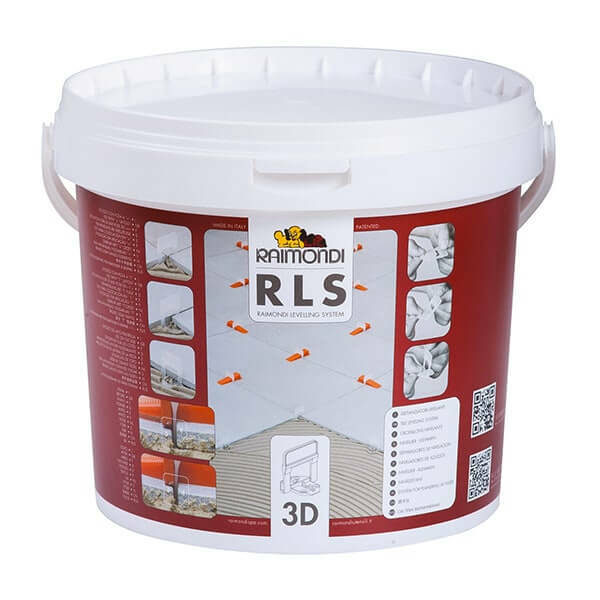 Raimondi Levelling System (R.L.S.) is a revolution in the tile setting. In addition to ensuring the proper leveling of tiles by eliminating ”lippage”, this system helps to speed up the tile setting process. 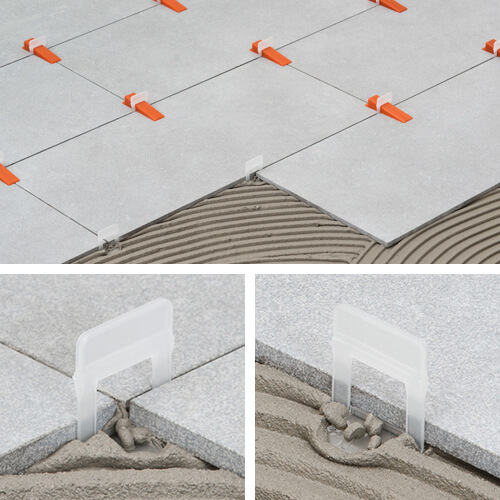 The innovative “3D” clips are perfect to be used with any installation layout and suitable to be positioned both in the tiles intersections (both “+” and “T” layout) and on the tiles sides. Allowing you to use up to 76%* less clip. (*For a 30x30 cm tile size. Compared to the standard clips used only on tiles sides. 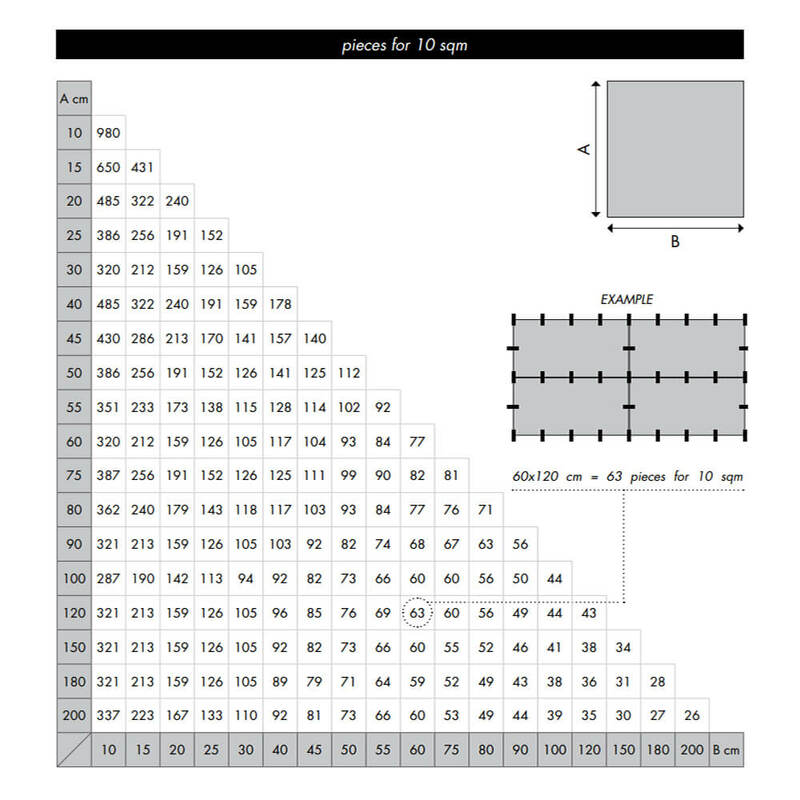 The actual saving varies according to the tile size.). The wedge works for all the clips in the R.L.S. range and it is re-usable virtually forever. Special traction adjustable pliers are available in two different versions: for floor or for wall coverings. The use of the pliers is suggested for facilitating and speeding up the insertion of the wedge in the clips. It also optimizes the pressure on the tile. Pliers work with all clips models and with any tile thickness. R.L.S. is the easiest and quickest to remove leveling system: it is enough to kick the spacers to remove the unnecessary part from the installed floor.